The #RenEUable initiative shines a light on one of the EU’s greatest achievements – Europe’s renewable energy industries – by promoting its successes. Between 2005 and 2012, the development of renewable energy in Europe reduced greenhouse gas emissions by 7%. Renewable energy is a solution to decarbonise the economy and mitigate climate change. In 2015, all heat pumps in European homes saved 24 Mt of CO2 emissions. 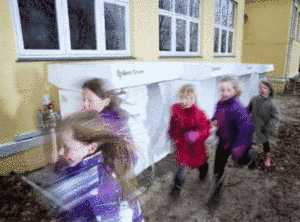 Part of the savings came from Hylke, a town of 500 residents in Central Denmark. With an innovative business model, they successfully managed to phase out their oil consumption with approximately 30% in one year. The city decided to replace a series of oil-fired boilers with smart low-maintenance heat pump solutions. The installations measure and log electricity consumption and heat production every 5 minutes. Private households and local business owners followed the example. Until now, Hylke has cut its annual CO2 emissions by 100t and its annual heating bill by more than €20.000. Half of the savings coming from the local school, allowing using the money for a better cause. The project is fully applicable to other cities and public-private partnerships with other municipalities are emerging. What if we could radically reduce CO2 generated by industries, particularly from industrial heating processes? One of the highest-located dairy industry in Europe operates in Bever, Switzerland. 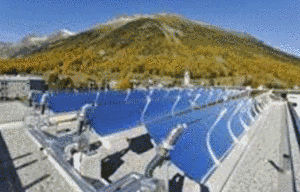 The Swiss milk industry decided to invest in 115m² parabolic solar collectors, which generate around 70 MWh per year. The high-temperature system then converts solar energy into enough steam for all its dairy products. By doing this, the industry could reduce its CO2 emissions by 18 tonnes per year. Milk, butter and cheese from Bever not only makes you feel good because of its quality but also because it has been processed with fewer greenhouse gases thanks to solar thermal technology. In 2015, 17% of global investments in renewable energy plants were in the EU. This is more than double the investments in new coal and gas plants. The European renewable energy industry generates a turnover of €144bn annually. 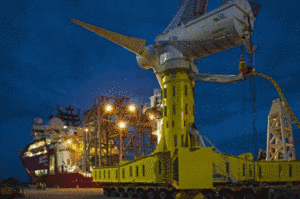 Tidal energy is driving investment in European technologies and projects. One such project is MeyGen – the first multi-megawatt tidal farm in the world. Like many seaports, Hull has a proud history. Shifts in the global economy however led to deindustrialisation and rising unemployment. This changed a decade later. 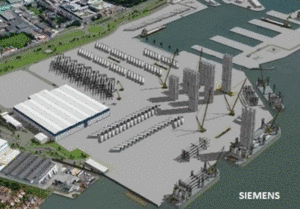 In March 2014, Siemens and Associated British Ports announced that they would jointly invest £310m into two wind turbine production facilities in the region. The Green Port Hull takes advantage of the offshore wind opportunities in the North Sea and established a world-class centre for emerging renewable industries. The Green Port Growth Programme supported over 300 local companies, 400 employees and 600 apprentices in getting a skilled job with energy, manufacturing and engineering firms. The number of green jobs in the region climbed to 1,000, turning one of the UK’s poorest towns into a bustling hive of commercial activity. The operation of the Hull plant begins next week and recruitment is ongoing. Solar thermal power plants provide considerable numbers of skilled jobs during both their construction and operational phases. 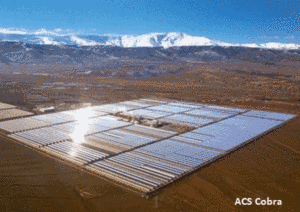 The Andasol 1 and 2 power plants, a 100 MW solar thermal power station located in Andalusia in Spain, created about 500 jobs per plant during the construction stage. Today, it employs 50 full-time staff, and will continue to do so throughout the entire project lifetime. With the right policy support, Europe’s STE (solar thermal electricity) sector can generate 160,000 jobs in Europe in engineering, manufacturing and construction, plus further indirect employment. of natural gas used in the EU is imported (Eurostat. 2016). Renewable heating and cooling can reliably replace the use of imported gas in buildings. Solar thermal technologies have already shown they can drastically reduce gas dependency on a large scale. In Marstal, Denmark, a hybrid project combining solar thermal with other RES technologies is suitable to fully cover a district heating needs and serve 1460 people. 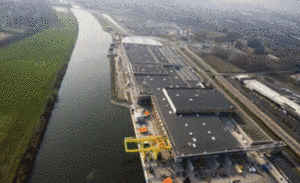 In 2014, this project had already replaced the equivalent of 1 200 000 m³ of natural gas, which represents the volume of 48 Olympic-size swimming pools. Similar projects are being built all over Denmark: a great step toward less dependency on our fossil fuel imports. Kaunas Energy, the second largest heating company in Lithuania, is increasing energy security by shifting to renewable district heating networks. Kaunas Energy, supplies 20% of Lithuanian heat through services to municipalities’ district heating networks displacing Russian gas. The district heating system of Kaunas provides heat to 118,000 people, operating three biomass boilers for a total capacity of 70 MW, corresponding to the use of 218.000 tons of wood chips. The biomass-based boilers of Kaunas Energy are expected to produce 480 GWh of thermal energy per year, thereby avoiding the use of a significant quantity of gas and oil annually. For a country like Lithuania, the close proximity to Russia makes being energy independent essential. Bioenergy provides an alternative to Russian gas imports. Do you have local renewable energy success stories? Send them to us or promote them with the hashtag #RenEUable.